Welcome to Peninsula Eye Surgery Center, designed specifically to meet the needs of patients who require surgical treatments to improve their vision. Well–equipped and expertly staffed pre–surgery areas, operating rooms, and post–surgery recovery spaces ensure that our patients receive excellent care in a comfortable environment. So when you or a loved one requires eye surgery, rely upon Peninsula Eye Surgery Center to deliver the very best of care. With technological advances in microsurgery evolving faster than ever, modern eye surgery requires specialized equipment, nursing, and anesthesia staff. Peninsula Eye Surgery Center has been developed by leading eye surgeons who share the vision of excellence of an outpatient ophthalmic surgical center. The result is a modern ambulatory surgery center, owned and operated by ophthalmologists, that specializes in serving the unique needs of eye surgical patients. 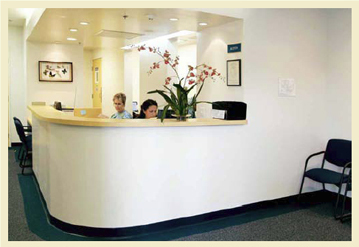 Opened in 2005, we are the first such center in the geographic area between and including San Francisco and San Jose. As one of California’s largest outpatient surgery centers dedicated solely to eye surgery, we perform one of the largest volumes of eye surgery in northern California, including cataract, glaucoma, and corneal operations, eye laser procedures, and leading edge refractive surgeries employing artificial lens implants. Used by more than a dozen of the Bay Area’s top ophthalmic surgeons, Peninsula Eye Surgery Center frequently hosts both national and international visiting surgeons. Being one of the busiest eye surgical centers in the state allows us to use state of the art ophthalmic surgical equipment and to employ a full time staff who specializes in eye surgery. Peninsula Eye Surgery Center is Medicare and state licensed, and certified by AAAHC, the top national accreditation organization. We offer interpretive services free of charge through CyraCom for the following languages.